This week, Intel started shipping its second-generation six-core desktop CPU, known as the Sandy Bridge-E. Every review I've seen points to this being the fastest desktop chip ever. But although the performance numbers are great, it's also an expensive chip aimed at a relatively narrow market for people with demanding applications. 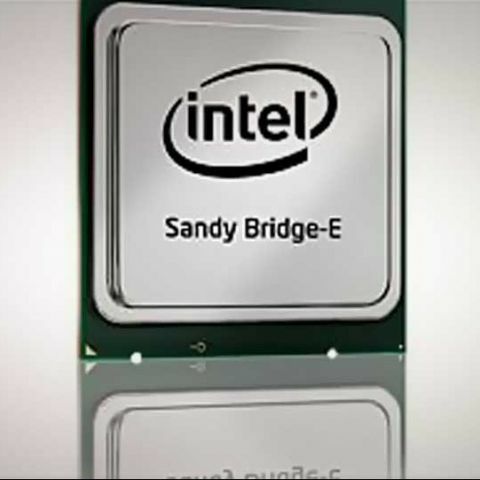 The SandyBridge-E ("E" is for "Extreme") is a six-core, 12-thread chip like the previous top of the line desktop Core i7s (known as Gulftown). It adds the Sandy Bridge microarchitecture, with support for things such as the newer Advanced Vector Extension (AVX) instructions, though without the integrated graphics of the other Sandy Bridge chips. In addition, it supports up to four channels of DDR3 memory. Intel is initially releasing the chip in two versions, the 3.3 GHz Core i7-3960X, with 15MB of level three cache and a list price of $990, and the 3.2 GHz Core i7-3930K with 12MB of cache and a list price of $555. 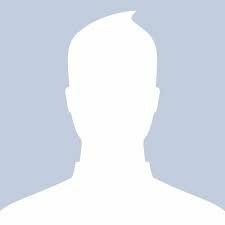 (Prices are in quantity of 1000, as usual.) Both have Turbo Boost, allowing the chips to run some cores faster, and both are unlocked so they can be overclocked. Unlike the other Sandy Bridge chips, these do not have integrated graphics, which is not a big loss, except for the lack of QuickSync technology, as anyone who buys this is quite likely to need discrete graphics. Almost all the reviews are positive, showing performance gains in a variety of categories, particularly in applications that take advantage of multi-threading. Almost all point out that it's much faster at most tests than AMD's highest-end processor, the FX-8150 known as Zambezi and based on the Bulldozer architecture. Every reviewer notes the high price of the 3960X, along with the new motherboard and memory requirements, and most point out that that the much less expensive quad-core i7-2600 performs almost as well at a much lower price point. Here are reviews from PCMag, Anandtech, Legit Reviews, Tom's Hardware, and X-Bit Labs. In any case, the Sandy Bridge-E chips are likely to be the top end of the desktop space for the next year or so. 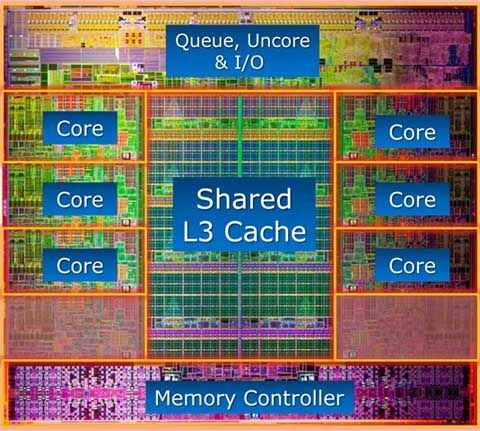 Intel's 22nm "Ivy Bridge"-based quad-cores, expected early next year, however, should give them real competition, particularly in applications that don't scale to multiple cores as well. Overall, this sets a new benchmark for high-end desktops, and I'm looking forward to trying one out. Which is the best UPS for Desktop ?